Initially only a medium-dry white was produced (first harvest made 56 bottles!). In 1999 a sparkling wine was made ready for the Millenium celebrations. In 2001 a red Pinot Noir was produced but due to its lightness it was decided to do rosé in future. 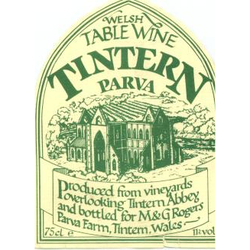 In 2001 a spicy Welsh mead was added to the list. This was made with Seyval Blanc wine, local honey and spices. More variety of whites were gradually introduced. In 2005 a sparkling rose (pinot noir) was made to be ready to celebrate Colin & Judith’s 10th wedding anniversary and 10 years at Parva Farm in 2007.